In this episode, I interview Viveka von Rosen, co-founder and chief visibility officer at Vengreso, a social selling consultancy. She’s also author of multiple books, including LinkedIn: 101 Ways to Rock Your Personal Brand. Viveka talks about the topics, tools, and analytics that help her produce effective LinkedIn native videos. You’ll hear how Viveka shares LinkedIn video posts via her personal profile today and what changes we might see in the near future. LinkedIn Native Video: What Marketers Need to Know featuring insights from Viveka von Rosen on the Social Media Marketing Podcast. What Is LinkedIn Native Video and Why Use It? LinkedIn native video is a video you record on your phone or computer and then upload to LinkedIn. To share a video with this feature, click the video camera icon, upload your video, and then share it as an update. Native video has been rolling out to everyone on both mobile and desktop so you should have it. If you don’t see it on mobile, make sure your LinkedIn app is up to date. The LinkedIn algorithm gives native videos more weight so they show up more often in the feed. Viveka has tested this by posting the same video as a YouTube video link and a native video on LinkedIn. The native video gets substantially more visibility. Video gives people a sense of who you are, especially if you’re in marketing and comfortable on camera. Although LinkedIn has traditionally been behind nearly every other social media platform that’s had video, people who are specifically in the LinkedIn space now have an opportunity to showcase their brand, knowledge, and products and services. Upload LinkedIn native video to showcase yourself and your brand. I mention that LinkedIn’s CEO recently hinted that he might be interested in acquiring original content (Shark Tank-type material) for their platform, indicating that LinkedIn is pretty serious about video. Viveka agrees, noting that a lot of folks were concerned that Microsoft would kill LinkedIn after purchasing it. However, she doesn’t see that and loves a lot of the changes LinkedIn has made. Video is getting people who thought of LinkedIn as the “fuddy-duddy of social media” to use it actively again. It’s a really powerful platform. Listen to the show to discover why I’m so excited about the ways video is changing LinkedIn. Although video updates do really well, updates of about 1,300 characters (not Publisher posts) seem to be popular right now. These updates don’t include links. Instead, links are referenced in the post with text such as “See link in first comment below.” These long posts get exponentially more views than a typical update and the algorithm seems to weight them a little bit better than video. Long updates with a link in the first comment are popular right now. Keep in mind that videos will naturally get greater visibility because they’re more interesting. You can also add 1,300 characters in a video post. Videos start playing automatically in your feed and someone has to watch for at least 3 seconds for it to count as a view. User settings determine whether audio is on or off. Viveka sets her audio off, but if a video looks interesting, she’ll turn it on. That’s why it’s important to have captions like you do on Facebook. Unfortunately, LinkedIn doesn’t yet have an auto-captioning feature. Right now, LinkedIn video isn’t live, although Viveka has heard rumors that live video might be coming. In its current form, LinkedIn video is almost live because you can post video right after you record it. 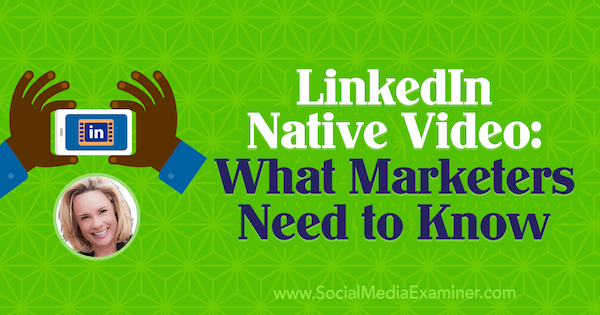 For instance, Viveka shot a LinkedIn native video as she did a presentation about native video at the INBOUND conference. She prepared the update (700 characters with hashtags and mentions) and published it as she was speaking. LinkedIn native video can be from 3 seconds to around 10 minutes long. Your video needs to be at least 3 seconds (the shortest one Viveka has seen is 7 seconds), and you can go up to 5GB (which for most video is about 10 minutes, but the high resolution of 4K video uses the data allotment more quickly). 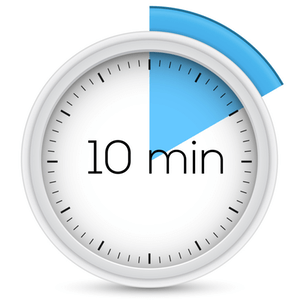 To illustrate, if you have a Facebook Live show, you could take 10-minute segments of it, save the segments to your desktop or phone, and then upload them to LinkedIn. Although native video is currently available only under your personal profile, rumors are that video is coming to company pages, too. For now, after you publish your video, you can share it on your company page. Click the three dots at the top right of the video, copy the link, and share it via your company page. The company page post populates almost like the original video, although it will point people back to your personal profile. Regarding analytics, LinkedIn tells you how many views, likes, shares, and comments you get. Plus, it tells you which companies have looked at your video, the titles of the people who’ve looked at your video, and where they’re from. LinkedIn doesn’t tell you exactly who watched your video, but you do see who likes or comments on it. It’s all good information. Viveka notes that when video was first launched, her videos were getting 30,000 to 60,000 views. Now her views have leveled off at around 1,200 to 2,000, which is still good. Listen to the show to hear Viveka’s thoughts on the future of native video on company pages. The new video feature is revitalizing the interest of people who’ve gotten away from LinkedIn. A perfect example is Instagram expert Sue B Zimmerman. Sue keeps trying to talk Viveka into Instagram, and Viveka has urged Sue to try LinkedIn. Viveka showed LinkedIn video to Sue and challenged her to try it for a week. A month ago, when Sue tried LinkedIn video, several of her videos got more than 5,000 views. One of them, where she rants about communicating on LinkedIn, has more than 68,000 views. This 2.5-minute video led to a keynote speaking gig, several podcast and blog interviews, and one or two new clients. Sue told Viveka that that video had more views than anything she ever put on Instagram, and she has a huge following on Instagram. Sue has about 12,000 followers on LinkedIn but was never present on it. It’s a different audience and a different type of engagement. She has been able to bring people from LinkedIn to Instagram. Video has worked extremely well for her. Another example Viveka gives is Canada’s prime minister, Justin Trudeau. He’s young, hip, and savvy, and he saw the value of LinkedIn video right away. Prime Minister Trudeau used LinkedIn native video as Viveka hopes people will use it. Trudeau said, “How can I help you? What can I do? What questions do you have that I can answer?” Because Canada is bilingual, he did his video in both French and English. The video got more than a million views, which is an enormous amount of engagement, and was probably about 3 or 4 minutes long. What’s cool is Trudeau stood in front of the camera himself. His social media team probably uploaded the video, and managed and answered all of the questions, but he did the video. One of the things that’s so powerful about video is the authenticity. Another way to use video is to get testimonials, especially if you do a lot of conferences. For instance, if you go to Social Media Marketing World, you can perhaps find a client who’ll give you a testimonial. You could similarly do interviews. Find one of the speakers like Viveka and do a 5-minute interview. When you post, tag whomever you’re talking to in your video, so their audience sees it. They’ll be encouraged to promote it, as well. Then the video gets even more visibility and has a better chance of going viral. You’ll see a range of video quality in LinkedIn native video posts. For example, you see beautifully produced videos such as the one Larry Kim shared. These are often captioned and may be promotional-type videos. But you also see videos like Viveka’s video at INBOUND, which included a shaky cam video of the audience. You can also post different video sizes and orientations, but Viveka warns that you should watch out for glitches or formats that aren’t ideal for LinkedIn. To illustrate, Viveka has seen LinkedIn native video that appears upside down or sideways. Video you record vertically might have gray boxes on either side. The 16:9 ratio of horizontal video works best with LinkedIn. I note that you can get a lot done in a 10-minute video. Any kind of text update can also be done as a video, such as reminding people you have a product sale that’s ending. Viveka says just be aware that sales videos won’t do as well as something that’s purely informational. However, I suggest that you can give three tips brought to you by your company. Viveka adds that one of her colleagues, Kurt Shaver, did a beautiful video promoting an event his company is doing at Lake Tahoe in February 2018. It’s a skiing event so he used a green screen, wore ski gear and had poles, and pretended to ski. As a landscape moves behind him, he says, “Come join us on the slopes.” Although that video was promotional, it got an enormous amount of views, likes, shares, and comments because it was so unusual. I ask if you can record your screen to show a how-to, technique, or feature and export it to LinkedIn. Viveka says yes, and producing these videos as a series would work especially well. Until LinkedIn adds native video on company pages, you can do tips on your own page and share. For example, do Video Tip Monday, LinkedIn Tip Tuesday, and Instagram Tip Wednesday. Then every Monday, Tuesday, and Wednesday, share a tip on a different platform. These videos will start to drive traffic to your company page. You can then use your company page to drive traffic somewhere else. Listen to the show to hear my thoughts about sharing video tips on LinkedIn. When Viveka’s not traveling, she tries to do a video at least once a week. She shares videos on a range of topics and the production quality of those videos varies, too. Her first three or four videos were produced with a green screen, and she talked about different tools for creating better LinkedIn video. Other topics include testimonials and book reviews. For instance, when her friend Anthony Iannarino was launching his new book, she created a video book review that was a little more produced. In this video, she used a green screen so she could display his book in the background as she was talking about it. At INBOUND, her videos included interviews and introductions, as well as a few videos from the stage. She’s also shared video from corporate events. Although you’d think the more produced videos would get more views, likes, and shares, that’s not necessarily the case. Your comfort level in front of the camera is more important than your level of production, the lighting, and the green screen. LinkedIn gives metrics on personal posts so you know if you’re reaching the right audience. If you’re not reaching the right countries, titles, or types of companies, you need to change your content. Viveka is shocked by how many people who work at LinkedIn, IBM, or Oracle watch her content. She would never have thought that, especially before joining Vengreso, she had that kind of corporate enterprise reach. Listen to the show to hear why you should keep LinkedIn native video production simple. For recording video, your phone is fine, but you need good lighting. For more produced video, Viveka has a big diva light. Those big round diva lights make your eyes look good and get rid of any wrinkles. There’s actually a clip-on light on Amazon you can get for your phone, which is almost as good as the big lights. Get a clip-on light for your mobile phone videos. At conferences, Viveka recommends using the windows to light your video because the UV filter conference halls and hotels put on the glass makes for phenomenal lighting. The quality of this filtered natural light is like the light you get from a diva light. (Sue calls it the “hotel filter.”) When you record the video, face the light, and because you can see yourself on your phone, turn until you have the best light. If you have a shaky hand or get nervous shooting video, place your phone somewhere static or maybe get a selfie stick, provided that doesn’t make the shaking even worse. I mention you should put a selfie stick against your hip, not against your chest, because as you breathe, the stick moves. You can also buy inexpensive compact tripods and use a smartphone adapter to secure your phone on the tripod. As far as audio goes, I love the Rode smartLav. It costs $70, and the cord is about five feet long. 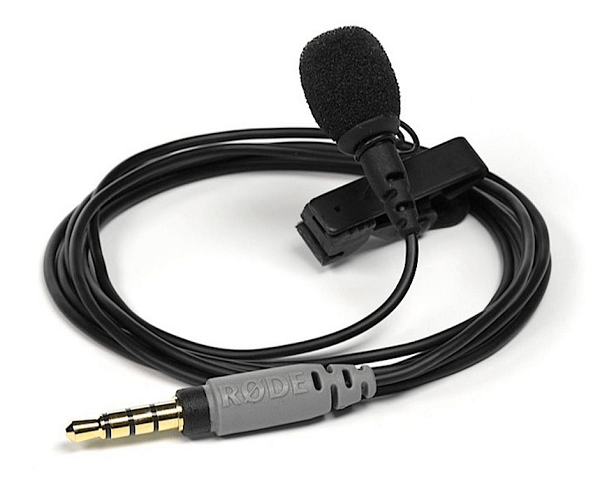 You just attach the mic to your clothes, within about a foot of your mouth. Using this mic minimizes the ambient noise you get in public. Viveka adds that she and Sue have been experimenting with Apple Airpods, which are significantly more expensive. Use a microphone, like the Rode smartLav, for better audio quality. One more tip: Viveka says LinkedIn hashtags are a thing again. On any post you want to find again easily, add a unique hashtag, something no one else is going to use. If you have a unique name, you can turn it into a hashtag. Also, add common hashtags to help people find your posts. Listen to the show to hear about the origin of Viveka’s company, Vengreso. 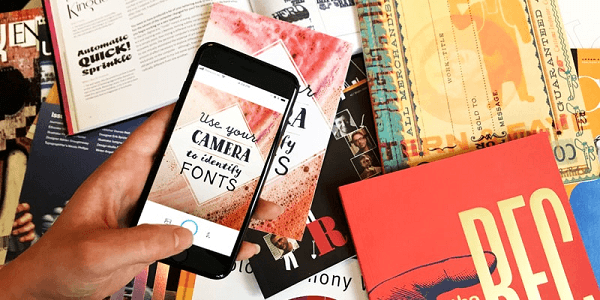 WhatTheFont is a cool mobile app for iOS and Android that helps you identify fonts quickly and easily. Open the app, and take a picture of the text with the fonts you want to identify. WhatTheFont then names all of the different fonts and identifies fonts similar to those in your sample text in case you don’t want that exact font. The app analyzes the fonts very quickly. WhatTheFont helps you identify the font of any text and gives you similar font options. To start using WhatTheFont, go to MyFonts.com, click WhatTheFont, and scroll down to WhatTheFont mobile. It gives you the links to go to the iOS store or the Android store to download. Also, the desktop version on MyFonts.com has hot new fonts and other stuff. WhatTheFont is a free resource. Listen to the show to learn more and let us know how WhatTheFont works for you. Learn more about Viveka at Vengreso.com. Follow Viveka on LinkedIn, and email Viveka@Vengreso.com. Read LinkedIn: 101 Ways to Rock Your Personal Brand. Learn more about LinkedIn’s CEO’s plans for video. Check out the INBOUND conference. Follow Sue B Zimmerman on LinkedIn and Instagram. Follow Justin Trudeau, Larry Kim, and Kurt Shaver on LinkedIn. 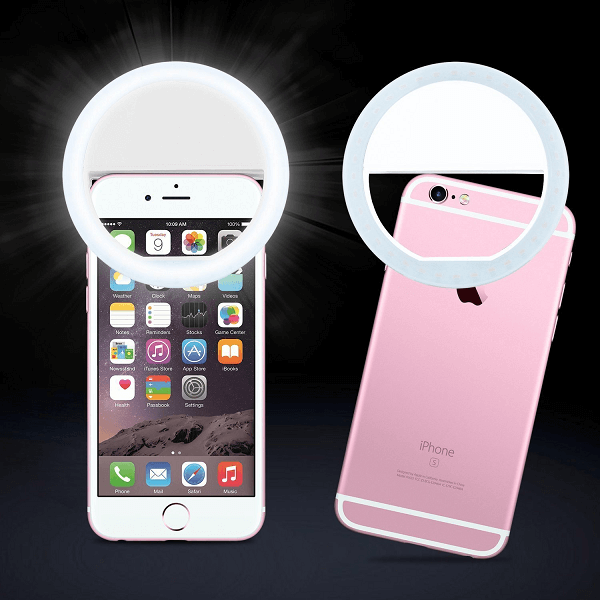 Take a look at the Diva Ring Light and smartphone clip-on light. Learn more about the Rode smartLav and Apple Airpods. What do you think? What are your thoughts on LinkedIn native video? Please leave your comments below.